Have you ever wondered how Veterans Day came to be? 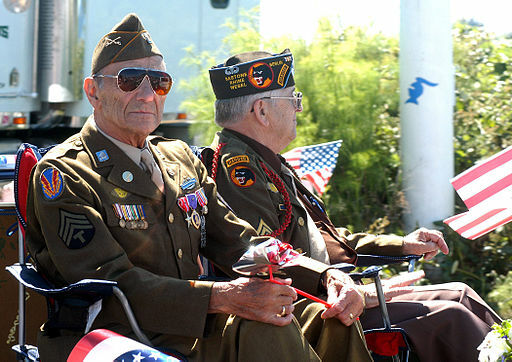 Veterans Day becoming a national holiday was 60 years in the making. The story behind Veterans Day started just under 100 years ago on the eleventh hour of the eleventh day of the eleventh month in 1918. Discover more about this day set aside each year to honor our nation's heroes! During World War I, the "Great War," an armistice, or truce, was called between the Allied Nations and Germany. November 11th became known as Armistice Day and the nation started celebrating it as the end of the war the following year and years to come. At this point in our history, Armistice Day was celebrated by observing parades, public gatherings, and briefly pausing the work day at 11 a.m. to honor in remembrance the end of the Great War. 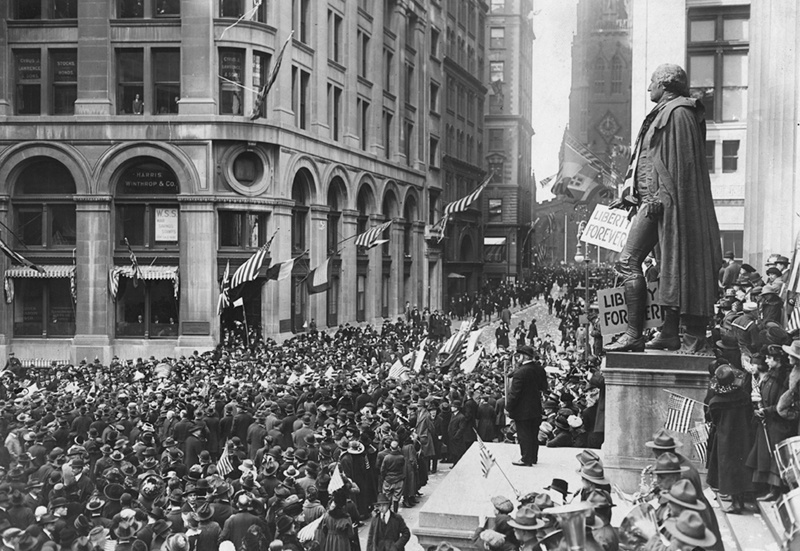 Several years later in 1926, Congress suggested that Armistice Day be observed with higher honor through thanksgiving and prayer and similar exercises designed to perpetuate peace and mutual understanding among nations. In 1938, Armistice Day was formally made a federal holiday as a representation of the end of the war, even though the Treaty of Versailles was not signed, officially ending the war until June 28, 1919, not November 11th of the previous year. 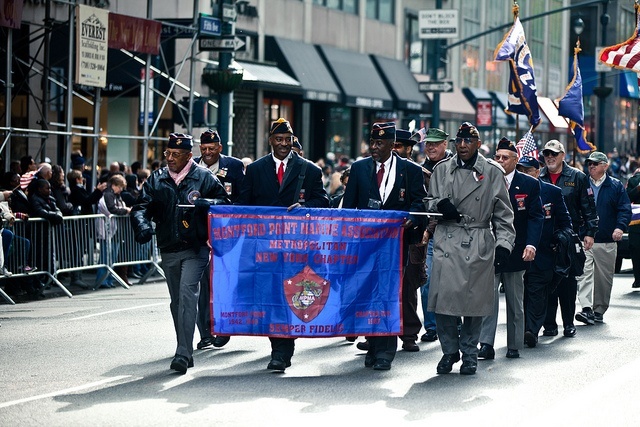 It was not until 1954, when veterans’ service organizations began representing the twenty-something million American citizens who served in World War II and the Korean War, that Armistice Day changed to Veterans Day. Congress amended the act revising the word Armistice to Veterans. Shortly after in 1954, President Eisenhower signed the change making November 11th a day to honor our nation’s veterans. In order to enable Veterans Day to be observed over a three-day weekend as other federal holidays such as Memorial Day and Columbus Day, Veterans Day was moved to the fourth Monday in October in 1971. As you can imagine, the public was not pleased and the government soon realized that the nation was choosing to observe Veterans Day on November 11th as it was celebrated originally. In 1978, President Ford changed the date of Veterans Day back to November 11th and proclaimed that if the 11th should fall on a Saturday or Sunday, the holiday would simply be observed a day early on Friday or a day late on Monday. Today, Veterans Day is observed by close of businesses, discounts and free items and services for veterans and their families, and in Washington D.C., by the placing of a wreath on the Tomb of the Unknown Soldier at Arlington Cemetery each year. In fact, you can donate money or purchase your own wreath to lay at Arlington through Wreaths Across America. 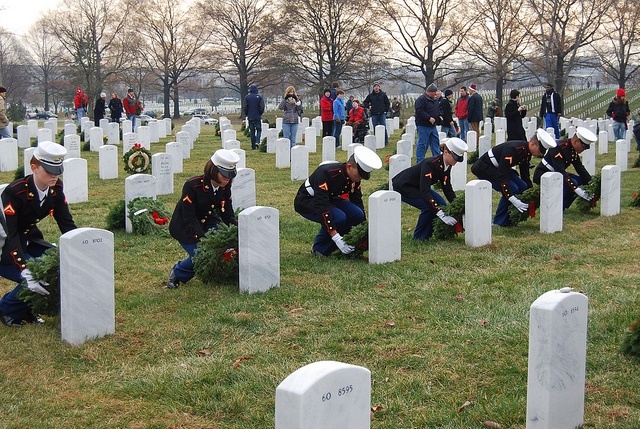 The laying of the wreaths is just one way that Wreaths Across America honors our fallen heroes. WAA has actually created many events, which can be found on their online calendar. Regardless of what you'll be doing this Veterans Day, I hope you'll take a moment to honor those who've given up so much to allow us live in freedom.